We believe the future of media is mobile and businesses free of legacy issues will flourish. Using our knowledge of technology to drive our content, we’re able to deliver market-leading levels of audience engagement. We are able to track social trends and create targeted content that engages and drives high quality audiences. Digital publishing is about the here and now. We create solutions for advertisers to instantly access audiences in the most effective ways. 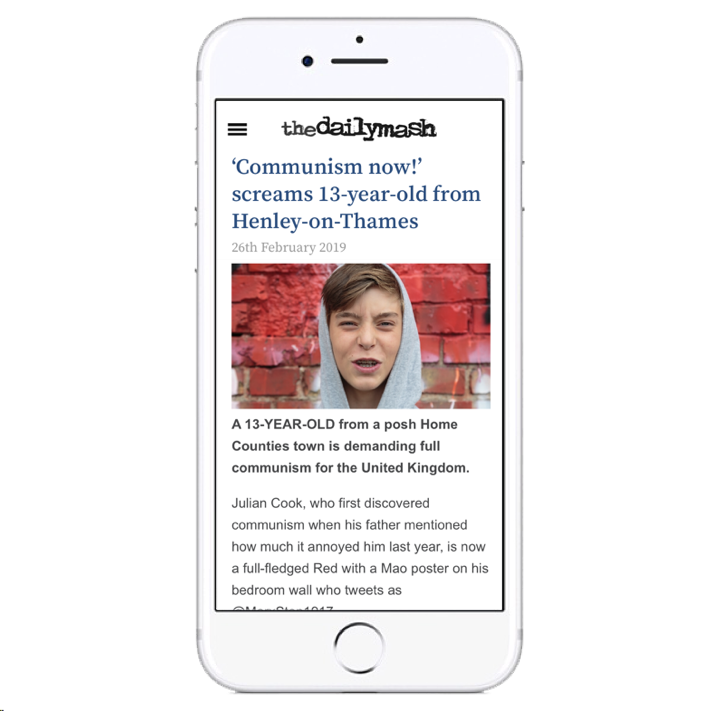 Our Entertainment Daily team are committed to producing the best UK entertainment news content on the web – covering all the latest TV shows, soaps and celebrity gossip, in a unique and engaging voice. Targeting a 30+, majority female (90%) demographic, Entertainment Daily is a one-stop destination for everything from the biggest TV moments, the latest soap spoilers to the celebrity stories everyone’s talking about. The Daily Mash is the UK’s leading satirical website. Established in 2007, it quickly established a loyal readership thanks to its unique take on news, politics, sport, arts & entertainment, lifestyle issues and more. 80% of the brand’s 25-44 year-old audience live in the UK with a roughly even male/female split. Its successful spin-off TV show, The Mash Report airs on BBC2.